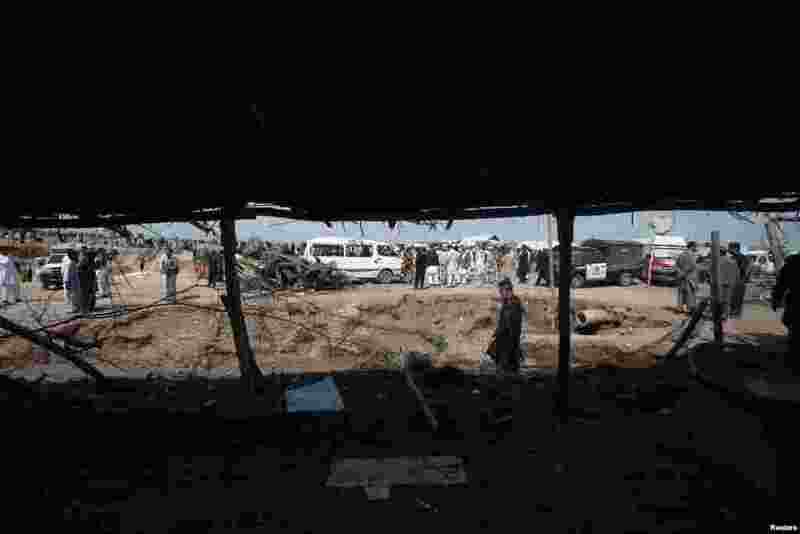 Pakistani authorities say at least 13 people have been killed in a bomb blast at a refugee camp northwest Pakistan Thursday. 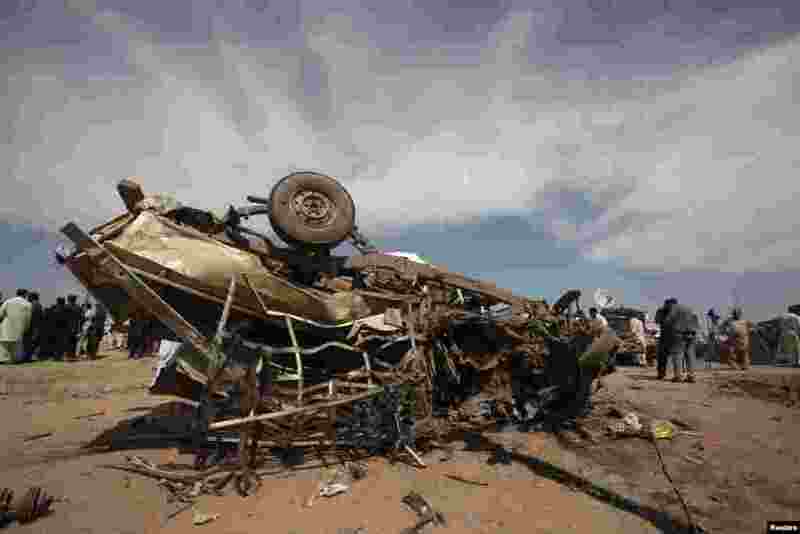 1 An overturned car is seen at the site of a bomb attack in Jalozai camp in Nowshera district, northwestern Pakistan, March 21, 2013. 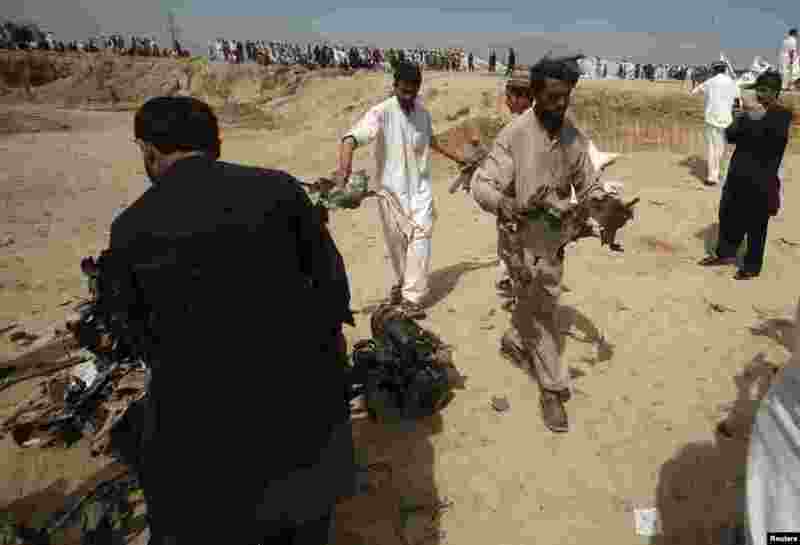 2 Security officials collect evidence at the site of a bomb attack in Jalozai camp in Nowshera district, northwestern Pakistan, March 21, 2013. 3 Security officials, residents and media personnel gather at the site of a bomb attack in Jalozai camp in Nowshera district, northwestern Pakistan, March 21, 2013. 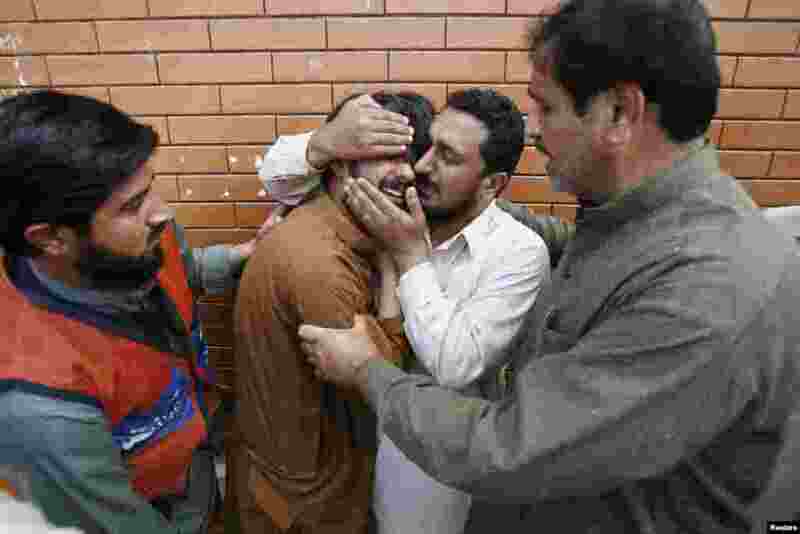 4 A man is comforted by a relative as he mourns for a family member, killed in a bomb attack in Jalozai camp, outside Lady Reading Hospital in Peshawar, Pakistan, March 21, 2013.